At ADM, our ingredients and flavors are designed to meet customer demand across virtually every segment. We offer the most extensive, innovative and on-trend ingredient solutions and systems. ADM/Matsutani will showcase Fibersol, the premier line of soluble dietary fibers. Fibersol supports sugar reduction, gut health, nutrition, weight management, and satiety. Available in nonGMO. As a leading supplier of raw materials to the flavor and fragrance industry, we at Advanced Biotech take pride in our commitment to achieving incomparable standards in the production of our products. An ISO Registered ingredient supplier serving the Food Industry since 1972. We have long term partnerships with global manufacturers allowing us to provide our customers with quality raw ingredients. All American Foods, Inc. provides innovative and customized Pro Mix® ingredients, including Cheese Powders, Dried Cultured and High Fat Ingredients, Egg Replacement, and Dried Flavoring Ingredients. American Lecithin Company (ALC) has been a trusted supplier of high quality lecithins for more than 85 years. ALC now offers sunflower-derived lecithin in liquid and powder forms. AmTech Ingredients is a premier manufacturer of spray dried ingredients designed for the food and beverage industry. AmTech's portfolio includes organic and non gmo project verified powders. Asenzya is a BRC certified seasoning company that prides itself on in-house grinding and blending. We offer custom blends to every facet of the food industry. Balchem provides state of the art solutions and the finest quality products for a range of industries worldwide. Barry Callebaut is the world's leading supplier of high-quality chocolate and cocoa products- including chocolate fillings, decorations and compounds. Batory Foods is a leading national distributor of high-quality ingredients for a broad range of food manufacturers and suppliers throughout the United States. Our portfolio includes flours, specialty flours, ancient grains, flavorful seeds and sweet spices. Conventional, organic, sprouted, gluten-free, non GMO, and customized options available. Bühler specializes in the design and manufacture of food processing systems. Superior quality, better yields and increased profitability are what food processors around the world get from Buhker. A global vertically integrated manufacturer of dehydrated vegetables, herbs, citrus, and spices. We have four plants in China, one in Mexico & Peru, and exclusive partners in Germany & New Zealand. BI is the leading manufacturer of plant-based ingredients including powders, extracts, proteins, fibers, custom blends, and more. BI is SQF, Organic, Kosher, Halal, and Gluten-Free certified. BLS develops scientific-based, all-natural ingredients that help people feel, perform & look better. We sell to companies who manufacture functional foods & beverages, supplements & sports nutrition. With more than 160 years of expertise, Biospringer is a global producer of yeast based ingredients. Our natural origin solutions are ideal for sodium reduction, MSG replacement and taste improvement. Blommer Chocolate is a family owned and operated, fully integrated chocolate and cocoa products manufacturer serving customers around the world. As California’s largest almond cooperative – representing more than 3,000 California growers – Blue Diamond Growers® is the food industry’s first choice for value-added almond ingredients. Brenntag Food and Nutrition is committed to provide the highest value to all of our partners through innovation, training and collaboration. Make your health-conscious customers happy with natural, specialty ingredients that deliver flavor, color, texture and function plus clean labels. Non-GMO. Made in the U.S.A. Organic certified. With 328 years of combined experience in oils & fats, Bunge Loders Croklaan offers technical application expertise, solid market insights and the industry’s most globally integrated supply chain. Burke is a manufacturer of high quality fully cooked meats for the prepared foods industry. Burke delivers products that are consistent, convenient, authentic and flavorful. QualiTech's sweet and savory inclusions provide a value-added delivery for flavor, color, texture, fruit content, protein, fiber, whole grain, etc. to bakery products, snacks, cereals, bars and more. Meduri Farms produces the highest quality dried fruit ingredients for the global marketplace. Equipped with an R&D Team, Natural or Organic products and made in the USA. NuLife Market combines foods science, specialty farming and nutritionalists to provide customers with the highest quality Sorghum products on the market. BENEO offers a range of nutrients with health and technical benefits derived from chicory root, sugar beet, rice and wehat. We help food manufacturers produce healthy balance products. Chaucer Foods is one of the world's leading food manufacturers of 100% Natural Freeze Dried Fruits and Vegetable food Ingredients. Burley Foods is one of the largest independent food ingredient suppliers in the MIdwest. We offer comprehensive R&D services, project development, customer service and Sales Representation. Located in the heart of bluegrass country, Bluegrass Dairy and Food is a leading supplier of specialty ingredients for the food industry. Our focus is Dairy but our capabilities go far beyond. Karlsburger specializes in Standard and Custom Broths, Bases, Seasonings and Gravy Bases. QST manufactures the highest quality dry and wet smoke flavors, sugars and powders available. Natural and Customizable. Marzetti Frozen Pasta, Inc is an ingredient supplier for frozen pastas, egg noodles and dumplings. We create custom formulations, unique products, and specialty items. Advanced Ingredients produces clean-label fibers, humectants, emulsifiers. Their products have been making everything from bars to frozen entrees taste better and stay fresh longer. Always a better BBQ Sauce, Hot Sauce or Mustard for food manufacturers with taste and style. We are recognized for the diversity and authenticity of our products. Our product line consists of various Pepper Mashes, Pepper Purees, Chilies, Jalapenos, Tomatillos and Siracha Sauce. Butter Buds liberates the natural flavors in butter, cream and cheese, contributing functional attributes such as fatty mouth feel, masking, rounding and flavor enhancement. Clean ingredient lists. Calyxt's purpose is to deliver food and ingredients that provide all the nutrition people need to be healthy - and stay that way. Caremoli is focused on the production and the distribution of ingredients, mixes and semi-finished products for the global markets: Food, Animal Nutrition and Dietary Supplements. Cargill Cocoa & Chocolate offers a wide range of both standard and customized cocoa and chocolate ingredients to be used in food manufacturing, bakery, confectionery, beverage and dairy applications. Carmi Flavors manufactures a vast selection of high quality natural, natural.artificial and artificial flavors in liquid or powder form for the entire food and beverage industries. Sweet potatoes, Juice ( original, clear and pressed) dehydrated, clean label sweetner, and purple sweet potato ingredients. Chem/Serv is a specialty ingredient distributor from spices to additives, including rigid plastic packaging. CHS Sunflower offers a wide variety of sunflower products. CHS is the only company to pasteurize sunflower kernel on equipment specifically engineered for sunflower. CHS is also a huller of millet. Supplier of Organic, Non-GMO and Fair Trade ingredients. Expertise in syrups and sweeteners; flours and starches; cocoas and chocolates; coconut; lecithin; and RSPO-IP certified sustainable palm oils. Citromax Flavors produces some of the most recognized, iconic flavors for beverages, confectionery products, dairy and baked goods from state-of-the-art flavor development laboratories. Manufacturer of high quality chocolate and confectionery coatings. With 80 years of experience, Colony Gums is your trusted source for Gums and Stabilizer Blends. Comax has been providing flavors to the food and beverage industry for over 40 years. Staying ahead of trends allows us to meet consumer demands and create flavors consumers are sure to love. Commercial Creamery Company manufactures Dairy Powders, Cheese Powders, Avocado Powder, Sauce Mixes, Shelf Stable Cheese Chunkettes, and Snack Seasonings. Corbion is the global market leader in lactic acid, lactic acid derivatives, and a leading company in emulsifiers, functional enzyme blends, minerals, vitamins and natural preservation systems. Dakota Specialty Milling/Dakota Blenders are trusted global suppliers of customer milled multigrain, ancient grain, gluten free, cake, donuts and specialty blends for food processors. DDW is the world leader in natural colours, colouring foods, caramel colours, and burnt sugars for food and beverage products. Cranberry products, organic and conventional. Sweetened dried,fruit juice sweetened, fruit flavored, OmegaCrans, LeanCrans, juice concentrate. Family owned for three generations. Sustainably produced. Leading specialty formulator and contract manufacturer of enzyme- and probiotics. Dempsey (US) is a full-service distributor, whose main focus is quality, specialty ingredients. Try out our many clean-label products and enjoy working our sales team dedicated to making you a hero. Walnuts, pecans, culinary nuts & pouches. Diana offers natural solutions including fruits, vegetables, meat and seafood to offer you clean label solutions, standardized nutrition actives and functionalities enabling impactful product claims. Divis is an intergrated manufacturer of high quality, stable carotenoid and vitamin product forms. Importing and distributing specialty ingredients from the finest producers for over 25 years. This year featuring coconut water powder, matcha green tea, rooibos and freeze dried fruit. Producer of IQF chicken, beef, turkey, pork in diced, strips or shreds form. We also manufacture frozen sauce cubes and pouches, meat/taco filling and chopped and formed meatballs, patties, and links. DuPont Nutrition & Health combines in-depth knowledge with current research and expert science to deliver unmatched value to the food, beverage, pharmaceutical and dietary supplement industries. DuPont Tate & Lyle Bio Products is a joint venture producing Zemea® USP-FCC propanediol an alternative to petroleum-based ingredients. It acts as a carrier, processing aid, and more. E.J. Mullins Co., Inc. is a manufacturer’s representative organization, selling and marketing industrial food ingredients to all facets of food manufacturers. Edlong balances flavor science and artistry to create authentic dairy taste in every application, including dairy-free, sweet, and savory products. Visit www.edlong.com. We are privately-held by American ownership and headquartered in Jessup, Maryland. We currently manage six separate facilities located on the East and West coasts. EMSL Analytical’s food laboratory capabilities include: microbiology analysis, nutritional analysis, various food chemistry analysis, allergens, toxins, and adulteration analysis. Emsland is a manufacturer of plant-based ingredients from potatoes and peas. Our ingredient portfolio consists of proteins, starches, fibers & flakes for use in a variety of food formulations. Enzymes are Our Business! Come visit us to discuss enzymes for dairy, protein, baking, ingredient manufacturing and other specialty food areas. We are the leader in food proteases. Eurofins Scientific is a leading international group of laboratories providing a range of testing and full-service food safety training, auditing and certification services. Farbest Brands offers clean-label, Non-GMO Project Verified ingredients with a full range of dairy and plant proteins, gums, vitamins, sweeteners and natural colors. Firebird Artisan Mills: milling, blending and packaging in a single dedicated gluten-free facility. We are recognized as one of the most respected manufacturers of concentrated dairy ingredients derived through fermentation and reaction technologies. Flavor Producers is a leading manufacturer of premium quality conventional and certified organic flavors along with our line of essences, extracts, natural emulsions and tropical fruits. Flavorchem develops flavors and colors for food and beverage products. Our talented team of flavor scientists delivers the results to your unique products and expectations. Fontana Flavors is a full line manufacturer of specialty custom savory flavors. Food Ingredient Solutions, LLC: Domestic color manufacturer (FD&C and Natural Colors). Supplier of Natural Antioxidants (Vitamin E, Tocopherols, Omega-3). Foodarom is a custom flavor designer and manufacturer. Foodarom services the food, beverage and nutritional product industries with turn-key flavors and formulation support. Foodarom is a custom flavor designer and manufacturer. Foodarom services the food, beverage and nutritional product industries with turn-key flavors and formulation support. Having a passion for Taste and Health, we want to assist you with solutions for Flavors, Health, Aroma Chemicals, Botanical Extracts, Natural Colors, Food Protection. Partner with us for success! Manufacturer of customized seasonings to food and beverage manufacturers, food service and restaurant industry. Gamay Foods is a leading manufacturer of custom developed Dairy Flavors, Cheese Sauce, and Dry Seasonings. We specialize in clean label solutions for all your development needs. Garlic King is a nationwide industrial supplier with an extensive line of non-GMO, Natural, Organic and Kosher products including products of such as garlic, onions, ginger and peppers. Georgia Nut Company is your resource for the highest-quality confections and snacks. Our state-of-the-art manufacturing facility and commitment to excellence makes us the perfect partner. Organic & Natural Sweeteners, Antimicrobials, Emulsifiers, Enzymes, Antioxidants, Cocoa Powder, Chocolate, Soluble Fiber, Gums & Systems, Lecithin, Specialty Protein, Edible Oils, Starches and more! As the world’s leading flavor company, we unveil the tastes that suit you best and that you love most. We offer sweet, savory, dairy, beverage flavors & seasonings including clean label and organic. Glanbia Nutritionals develops dairy protein, plant nutrition, flavor, premix, and bioactive solutions for the food, beverage, supplement and animal nutrition industries. EXBERRY® is the premier brand of natural colors for the food and beverage industry. Gold Coast Ingredients manufactures flavors and colors. We offer Organic, Natural, Non-GMO, and other flavors available as liquids, powders, powder encapsulations, emulsions and advanced extractions. One of the largest single providers of infused dried fruits in the world. They primarily produce infused dried fruits such as cranberries, cherries, wild and cultivated blueberries and apples. Grain Millers is a full service supplier of grain based ingredients for conventional, organic, gluten free, and non-GMO requirements. Products include oats & fibers, corn, flax, & specialty grains. Innovative food ingredients for use in a number of food applications using the latest science available. Marketing Fruit, Nut and Vegetable Ingredients to Quality Food Manufacturers. 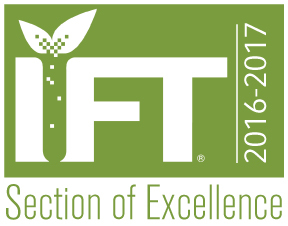 Herbstreith & Fox is a producer of high-quality pectin for the food industry. Our subsidiary Herbafood Ingredients produces functional dietary fiber and apple extract as alternative to caramel color. Highland Milling is a processor of high quality oat, barley and rye products. 125 years of experience, a commitment to collaboration and a broad product portfolio - it's what we're made of. The most important ingredient in your recipe for success is a partner you can trust. IFF is a global manufacturer of world renowned flavors and value added seasoning blends. Following the acquisition of L.V. Lomas, IMCD has established a position as one of North America’s leading distributors of specialty chemicals, ingredients and raw materials. Ingredients Inc. supplies specialty ingredients to the food/beverage, pet food, nutraceutical, and pharmaceutical industries around the world since 1985. Ingredion is a leading global ingredients solutions company. We make sweeteners, starches, nutrition ingredients & biomaterials that are used by customers in everyday products. At Innova Flavors we celebrate food by collaborating with processors to give consumers what they want...unique, bold and memorable flavors with authentic tastes that make eating an adventure. IDF poultry-based, protein-fortifying ingredients serve as a canvas upon which chefs &formulators can build inspired flavor profiles & applications with delicious, natural chicken ingredients. International Foods Products helps customers who were frustrated with long turnaround time, aggravations of managing too many vendors, and those struggling to keep up with the markets for their needs. Cultivated blueberries, cranberries, raspberries, blackberries, strawberries & fruit blends. Canned wild blueberries. Manufacturer of Natural Dairy Flavors and Specialty Dairy Ingredients. Unique Technology and Manufacturing Capabilities. Stock and customized products in paste and powder forms. Ingredient manufacturer keeping food safe and fresh longer. Natural, organic and traditional synthetic products available. Soy sauce, Asian sauces, natural flavor enhancers. Kraft Heinz Ingredients is a customer-driven partner to manufacturers looking for ingredient solutions including cheese & dairy, condiments & sauces, and confections. Inspired, Innovative, Iconic. La Crosse Milling is a manufacturer of conventional, organic and certified gluten free oats. Products include oat flakes, oat flour, oat bran and oat fiber. Land O' Lakes makes innovative, dairy-based ingredients for the Global Food Industry, including cheese powders, dry blended seasonings, dairy powder, natural and processed cheese. LifeSpice Ingredients is an innovator, developer and manufacturer of proprietary spice blends for the food industry. Chocolates, variegates, nuts/butters, seeds, grains, fruit products (IQF, puree, dried, juice concentrates), raisins, caramelized sugars, baked/dough pieces, extracts, honey, wafers and cookies. MarketFresh Food Testing Laboratory is an independent food microbiology testing laboratory providing microbiological services to the food industry. Frozen potato products, roasted & caramelized vegetables. The how, what, and where of consumer eating habits is constantly evolving – We’re here to help keep your products ahead of the life-cycle curve. TABASCO® Liquid, Intermediate Moisture and Dry formulations can be used to develop new flavor profiles and enhance existing flavors of a variety of sweet and savory food and beverage products. Merlin provides creative design of prototypes, formulas, processes, and packaging, coupled with rigorous research standards will deliver superior results. MGP specializes in wheat based ingredient solutions , decades of experience and technical know how, we at MGP are equipped to meet your needs for wheat based Fibers, proteins and starches. Milk Specialties Global is an industry-leading manufacturer of nutritional dairy protein ingredients for the health and wellness, sports nutrition and functional food industries. The largest regional grower and producer of Hemp products. Growing for Food, Fiber and CBD nutraceutical markets. Hulled Hempseed, Roasted Hempseed, Hempseed Oil, Protein Powders in bulk or retail. Minnesota Valley Testing Labs, Inc. (MVTL) is an independent testing laboratory established in 1951. We are ISO/IEC 17025 accredited and provide microbial & chemical analyses to the food industry. Mission Flavors & Fragrances, Inc.
Mission Flavors manufactures a wide array of liquid and dry flavorings; including an extensive library of clean label flavors, enhancers, masking agents and seasoning blends. Mitsubishi International Food Ingredients, Inc.
Mitsubishi International Food Ingredients is your reliable global supply chain partner, sourcing and distributing food, nutritional and pharmaceutical ingredients. Our customers can trust in MIFI’s reputation and level of service, as we have the technical expertise, product solutions, customer care and vendor relationships that truly make a difference. Wine & vinegar reductions, vinegar, cooking wines, wine and vinegar powders, chilies, jalapenos. We offer one of the most extensive flavor selections in in the industry. MycoTechnology is a food technology company focused on solving the biggest challenges in the food and beverage industry with their organic bitter blocker, ClearTaste®, and plant protein, PureTaste®. Nascent Health Sciences, LLC unequivocally provides high quality, science-based ingredients manufactured by Zhucheng Haotian Pharm Co to the nutraceutical, pharmaceutical and food industries. We have an extensive library of liquid flavors available for all your labeling requirements.We specialize in sweet and fruity flavors that work in a variety of applications. Try a sample on Flavorush! Large Dried Fruit Processor for baking, confections, snacking, and cereals. Our products come in many different forms; such as paste, juice concentrate, diced and purees. Natural Products, Inc. is a leading manufacturer of full fat soy ingredients made from Non-GMO or Certified Organic soybeans. NPI also processes other beans and grains such as Chickpeas and Oats. Provider of organic wheats, ancient grains, and feed grains. We assure consistent long term supply chains for your organic grain needs, working directly with farmers and processors. In the food processing and foodservice industries, Newly Weds® Foods is recognized as the premier global purveyor of customized breaders, batters, seasonings, and functional ingredients. Nexira is the world's largest producer of Gum Acacia that is available in various grades. Nexira also offers Botanicals for health and wellness. Niacet is a leading producer of propionates and acetates, serving the Bakery and Meat industries. Our products fill vital needs in a broad range of applications including food preservation. NorQuin is a leading quinoa processing company headquartered in Canada. We are a fully integrated from farm to fork. Our markets include retail, industrial, bakery, foodservice and food manufacturers. We provide premium flavors for the food and beverage industry, including baking and confection. Family owned for over 100 years, we can develop any flavors you can imagine, what can we create for you? Nutra Food Ingredients, LLC is a professional ingredient supplier for Nutrition, Pharmaceutical, Food and Beverage industries since 2004. Collagen, Gelatin, Polyol Sweeteners, Fibers. Ohly is one of the world's leading suppliers of yeast extracts, yeast based flavours and specialty powders for food, biotechnology, health, and animal feed markets globally. Olam Cocoa is a globally leading cocoa processor, supplying cocoa beans and cocoa products. Industry leader in nut butters for over 40 years. We manufacture almond, peanut, cashew, and sunflower seed butters & tahini. SQF Level 3. Non-GMO Project Verified. Organic. Kosher. Gluten-Free. At Opinions LTD, our team of trusted professionals - your strategic research partner – providing consistent protocols, accurate, timely & quality market & sensory research. Ornua Ingredients North America custom formulates and manufactures a complete line of pasteurized process cheese and analog cheese products. Reinventing flavors for the next generation. The flavor innovation leader OSF Flavors. Find out why. Contract manufacturing services including blending, extrusion, spray drying, re-packaging, consumer packaging and more. Tolling or turnkey, bulk capability, warehousing for raw and finished products. Par-Way specializes in Allergen Free, Lecithin Free, Gluten Free, PHO-Free, Non-GMO and Organic Ingredient Release Agents. Introducing Vegalene Organic Release! We do custom formulations too. Paradise provides custom hot sauces, chili based sauces, ethnic sauces, and BBQ sauces to the industrial segment. Packing options include bulk (tankers, totes and drums) and pouches (4oz to 160oz). Since 1926, Parker has been dedicated to intriguing consumers with exciting new inclusions.We offer a variety of customized inclusions for bakery, beverage, dairy, confection & foodservice customers. Toll processing of food ingredients. Milling,Blending,Screening,Air Classifying,Packaging,Metal Detection. Frozen fruit, bananas, blackberries, blueberries, mango, peaches, pineapple, raspberries and strawberries. delight & surprise. Textures provide the experience that consumers are craving. Make Pecan Deluxe "Your Secret Ingredient"! Philadelphia Macaroni Company manufactures dry and IQF pasta. Minot Milling (a division) supplies the industrial marketplace with durum and hard red spring flour products. Prayon is a producer of food grade phosphates and phosphoric acid. Our food applications laboratory allows us to offer innovative products in line with the newest trends in the food industry. From nutrients and flavors to essential oils /aroma chemicals, we offer access to the highest-quality ingredients backed by technical expertise and unmatched commitment to safety and sustainability. PROVA is a leader in Vanilla, Cocoa and Coffee Extracts in addition to Sweet Brown Gourmet Flavourings. Pure Ground Ingredients is a direct from source importer of organic herbs, spices, botanicals and chilis. We are an SQF Level 2 certified facility where we do in house processing and micro reduction. PURIS™ is a family-owned company founded in 1985 in Oskaloosa, Iowa. Built with intention over 30 years, our plant-based food system benefits every link in the chain of production. QIC specializes in custom spray drying of a wide variety of products for food grade applications such as flavors, colors, vitamins, minerals and dairy powders. We are proudly 100% employee owned! Leading processor of sunflower, millet, flax and specialty grains. Specialists in custom roasting, private label, and micro-reduced ingredients. All facilities are SQF 2 and Peanut/Tree Nut Free. Supplying PHO Free shortenings, margarines and oil blends to the baking & food processing industry for over 16 years. Our products are designed to be a closer match to PHO fats now banned by the FDA. With five oat mills located in Canada, the U.S. and the United Kingdom, we are the world's largest oat miller offering a full range of whole oat products including Coated Grains and Clusters. Manufacturer of custom formulation of graham crumb and all flavors of cookie crumb. Contract Manufacturer of cookies and crackers. "Robertet's unparalleled understanding of naturals, together with our creativity and insight, allows us to provide our clients with world class innovation in taste and scent. Roquette is a global leader in plant-based ingredients and a pioneer of new vegetal proteins. Stop by our booth and learn about our pea protein, fibers, polyols, and other products. Exclusive distributor of Red V Brand desiccated sweetened and toasted coconut. Cookies, crushed, crumbled, cream filled, whole or in crumb format. Sapphire Flavors & Fragrances is a vertically integrated flavor & fragrance company delivering best in class natural flavors at an exceptional value. We cater to food and beverage manufacturers. Savoury Systems, now part of Brookside Flavors & Ingredients, offers organic & Non GMO flavor and enhancer options, including USDA meat & poultry flavors, seafood, vegetable, & plant-based products. Supplier of Coconut - Dessicated and Toasted, Natural Sanding Sugars and Sprinkles and Glacee Fruit. Sensient® Food Colors display broad range of natural-color-solutions for cleaner/simpler-ingredients. Our Certasure turn-key certification program assures our colors are safe/pure/authentic. Sensient Natural Ingredients brings flavor, texture, and color to food. Our portfolio includes California-grown onion, garlic, and parsley, plus other items. Our Organic line is GROWING (naturally!). We develop & manufacture each component to customize your savory flavor solution: Top notes, Botanical extracts, Vegan flavors, Yeast extracts, HVP, Masking, Sodium reduction, Flavor enhancers. Sensus America is a leading manufacturer of a complete line of chicory root fiber ingredients Frutafit® and Frutalose® products. Sethness is the world’s leading manufacturer of liquid and powdered Caramel Colors. We focus solely on Caramel Color so we offer the highest quality and widest selection of Caramel Colors. We manufacture extracts, flavors and colors in addition to providing packaging solutions to commercial and private label markets. Shoreline Fruit is a Grower, Processor & Marketer of Premium Montmorency Dried Tart Cherries, Dried Blueberries, Cranberries and Apples. Ask about our NEW Montmorency Tart Cherry & Blueberry Paste. SSI is a manufacturer of Heat Treated Grain Products. More specifically Food Safe Flour, Functional Flour to replace Chemically Modified Ingredients, Stabilized Bran, Germ, & Whole Wheat Flour. Functional Caramel & Layers, Fruit Fillings, Sweet & Savory Fillings & Sauces, Pouched Icings for: Shelf-stable, Bakery, Nutrition, Meal-it, and Yogurt products. Bulk and pouch packaging available. Seasonings, coating systems, food bases, sauce and gravy mixes. St. Charles Trading, Inc. is a global supply chain solutions provider specializing in food ingredients distribution since 1984. Our ground breaking products, packaging and distribution capabilities, and dedication to the customer will help you meet your industrial market food offering objectives. Going Clean Label? Our 7 state-of-the art refineries produce a range of liquid cane sugar products with reduced environmental impact and lower cost. Fairtrade, Bonsucro and Non-GMO options available. Raisins, dry fruit blends, juice concentrate. SunButter is a natural, simple, and delicious sunflower butter. Made from roasted US grown sunflower seeds. We’re the perfect blend of heart and science. Our purpose is to be the spark that advances our customers. We’re an agile, energetic partner with a fresh perspective. We ensure the highest quality and a consistent supply of our Non-GMO proteins, flours, sweeteners, fibers, vitamins, and healthy oils. Offering organic and NonGMO Project Verified as well. Cache Creek Foods: Processor of Organic & Non-GMO tree-nut butters. LifeWise: Processes natural flavor modifiers & enhancers. TIC Gums, an Ingredion Company is a global leader in advanced texture and stabilization solutions for the food industry. Traina Foods is a leader in premium Sundried Fruits and Tomatoes. Custom processor that provides solutions for all types of applications/operations. Trilogy Essential Ingredients delivers exceptional taste using custom and captive ingredients. Our expertise in varietals sets your products apart. University offering food science & nutrition degrees. Pilot Plant has staff with extensive experience & faculty that is available to industry to provide process & production development support. As farmers since 1856 and food processors for over 50 years, Van Drunen Farms produces the highest quality ingredients. We develop premium fruit, vegetable, herb and specialty ingredients. Virginia Dare is a long established company known for high quality cost effective Flavors, Vanillas, Masking & Tea Concentrates providing Natural Flavors to the Beverage & Health & Wellness Industry. WACKER offers innovative vegetarian solutions and products for the food industry, including CAVAMAX® W6, a soluble dietary fiber, and molecular encapsulation solutions for odor- or taste-masking. Flavors (Liquid and Powder, Pure Vanilla Extract, and Ice Cream Variegates. Offering 1,500+ dried ingredients: Mushrooms, Truffles, Chiles, Beans, Peas, Lentils, Rice, Grains, Noodles, Couscous & Orzo; Herbs, Spices & Blends, Vegetables, Fruit, Nuts, Seeds, Oils & Pastes. Zumbro River Brand, Inc. (ZRB) is a contract food manufacturer specializing in extrusion and agglomeration, producing and packaging food ingredients and finished products to customer specifications.